South Hams is a district of South Devon incorporating Totnes, Dartmouth, Ivybridge, Kingsbridge and Salcombe, as well as numerous smaller communities. It incorporates 60 miles of coastline, with 35 miles of beautiful beaches. An area consisting of more than a third of its 350 square miles has been designated an Area of Outstanding Natural Beauty. The South Hams Chess Club welcomes players of all standards. Membership is free to new members for the for the first year, so why not come along and see if you enjoy it? Existing club members will be more than willing to "show you the ropes", and offer you advice if you are not familiar with using chess clocks or playing competitive chess. The ethos of the Club is that chess should be really enjoyable - it is not our ambition to field fearsomely strong teams in competitive matches. The Club meets at 7pm on Thursday evenings at the Regal Club, Kingsbridge. 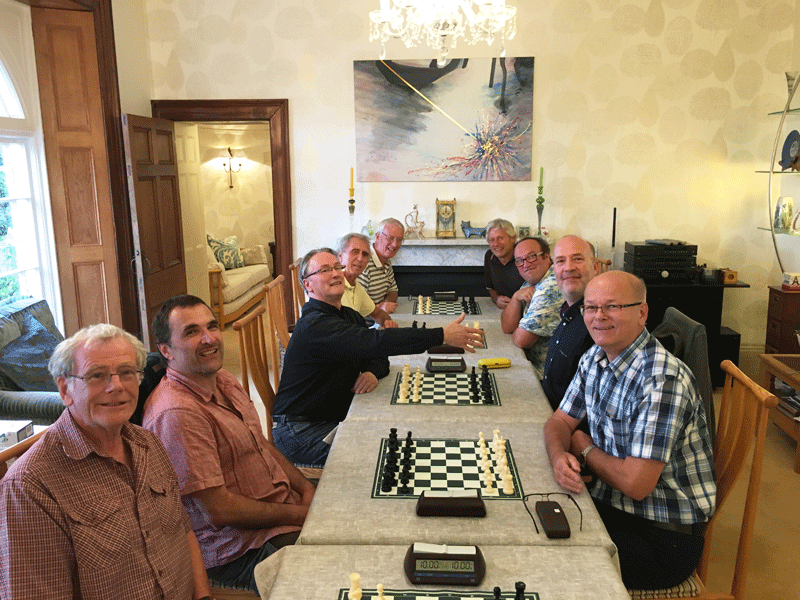 For members who want to play more than once a week, the club also meets on most Tuesday evenings at a member's house in Dartmouth. We currently participate in all five competitions in the Torbay Chess League, playing matches against Newton Abbot, Plymouth, Teignmouth, Torbay and Torquay Boys Grammar School: Premier League, Division 3, Division 4, Rapidplay and Knockout. We also participate in the Devon County Chess Association Mamhead League, which plays on Saturdays. Informal games are available on every club night. In addition, each season members may play in a number of graded internal competitions. You can subscribe to a weekly email which summarises the previous week's club news and results (both Torbay League matches and internal club games), together with any new games which have been posted on the club games database. You don't have to be a club member to subscribe to this service. Click here to find out more.